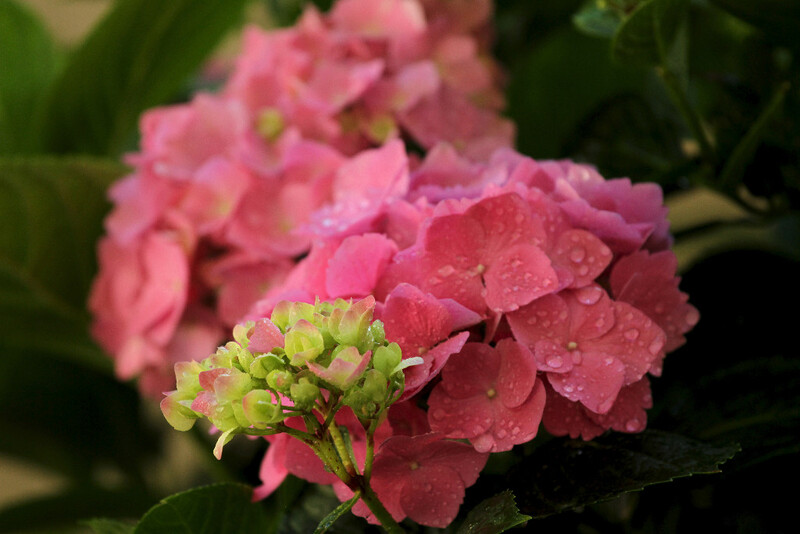 The hydrangeas are blooming and brightening the shady spots in the garden! Of the 16 we have all but two are blooming now. I did a few experiments when I pruned last year. I pruned this Endless Summer quite a bit because of frost damage and it bloomed even more than usual but with very small flowers…which I love! 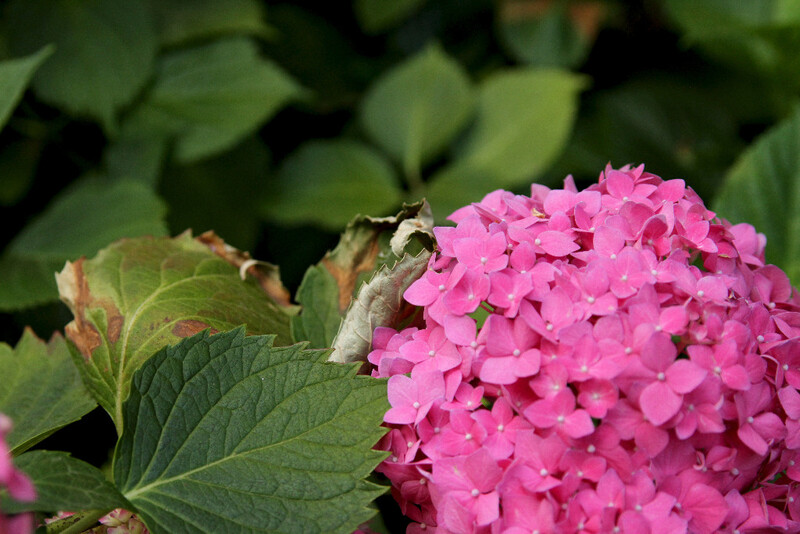 The unpruned Endless Summer plants have the usual larger blooms. This Blushing Bride has become kind of thin, instead of bushy like the rest, so guess it will need to be pruned back next time to encourage a little filling out. The blooms, however, are beautiful! And, my favorite, Buttons & Bows, has just a few flowers as usual. Not sure why it is never covered with bloom like the others. It used to get too much sun so we built a shade structure….and the same result…oh well, what it gives is beautiful! Red Star is a very dependable bloomer even though it gets a little sun damage occasionally. 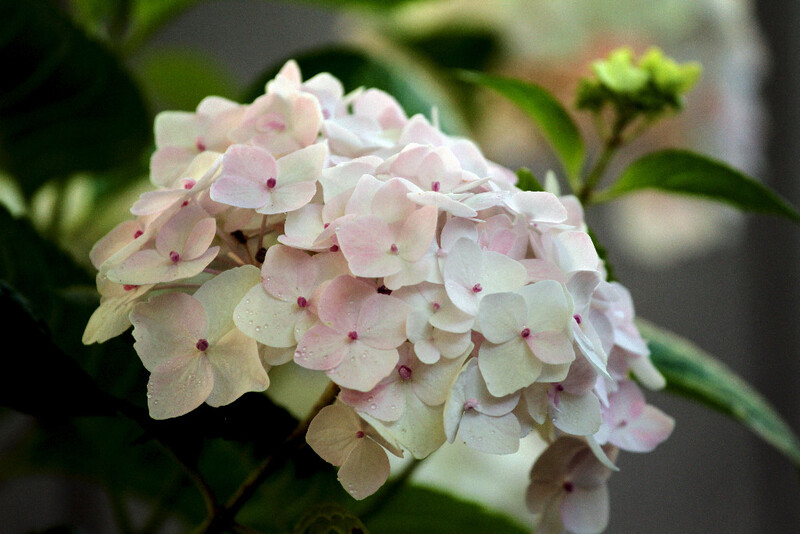 An east exposure is usually good for hydrangeas but our stucco house heats things up a little too much on really hot days. And finally a new plant is blooming in the garden. Pistachio is a little different with the mixed pink/green coloring….not sure it’s my favorite but it hasn’t had a chance to grow much yet….may be a winner! 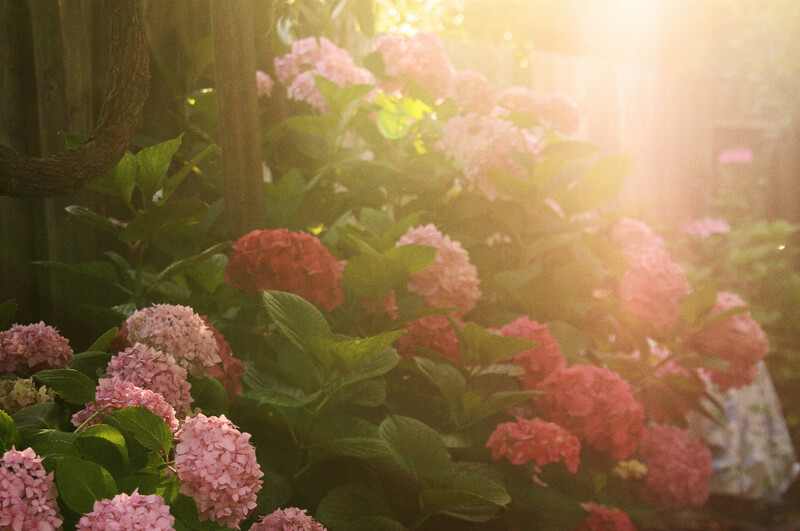 Walking through the hydrangeas early in the morning is my favorite way to start the day! 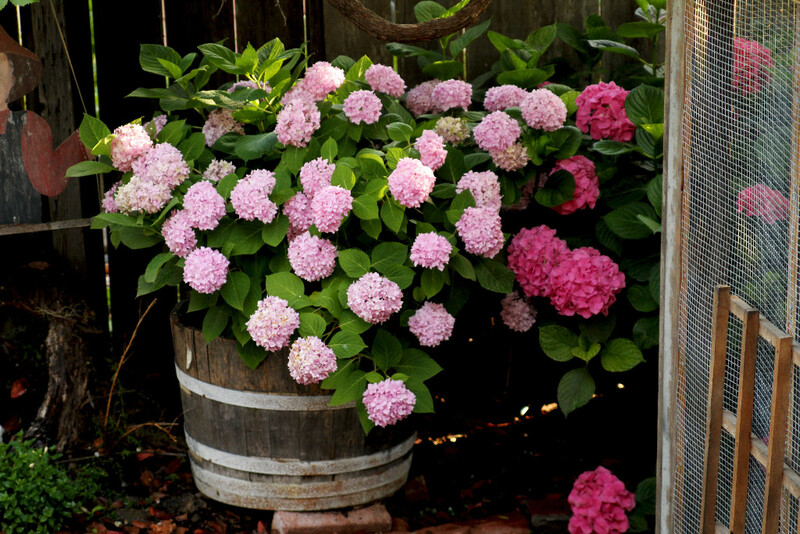 Do you have a favorite hydrangea? Any tips you can share? Please do! 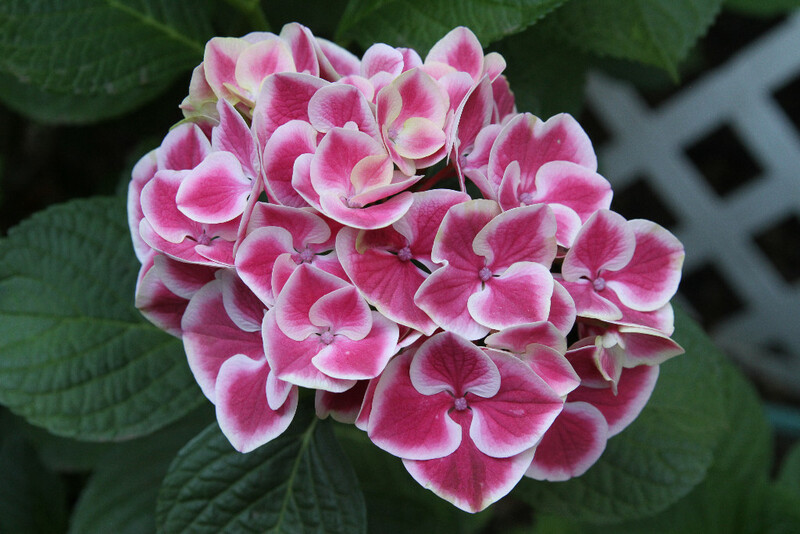 Next month I’m looking forward to touring a garden with over 200 hydrangeas grown by a Master Gardener…I’ll be sharing! ← Veggies – Bigger is Not Always Better! I have never had any luck with acid to blue either. Maybe I will try the liquid although I have never seen it for sale. Perhaps if I look for it…. By the way I have buttons and bows also and it never has many blooms but the ones that do bloom are beautiful. My blushing bride has always been thin no matter how I prune it. It is one of my least favorite. Hi Carlyss, I’m glad to hear you have the same experience with Blushing Bride and Buttons and Bows. I wondered if that might just be the way it is! 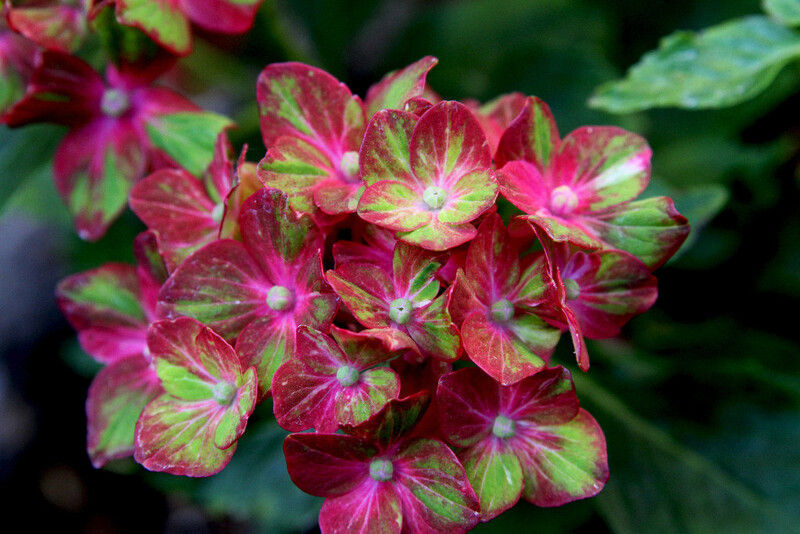 I haven’t found liquid acid food for hydrangeas but thought I’d try the acid type of Miracle Gro and see how that does. Mixed in water it seems it would reach all the soil better than watering in crystals like I did….we’ll see!